Beneficial for children (and adults)! Ballet is a holistic approach to life-long wellness for children and adults alike. For simplicity purposes, let’s focus here on the kids. When it comes to after school activities, children these days have more options than ever before. So, why should you make time for ballet? Many people think you take ballet classes only to become a ballerina – not true! Ballet is one of the few activities that can boast multiple health benefits all in one. Everything you do can be improved through ballet – just ask our SBS alumni who have gone on to wonderful colleges and careers and still cherish their ballet training as the backbone of their success. Still not convinced? Here’s a list of four core benefits of ballet, but truthfully the list is endless! 1. Physical coordination, grace and posture. 2. Mental strength and focus. With all those physical demands of ballet, imagine how much work your brain is doing! While children are working hard to coordinate their feet to skip, (a skill that takes a lot more practice then you would think) their brains are constantly building new neural pathways to make all of this happen, which increases neuroplasticity. Neuroplasticity improves learning, memory, and comprehension. You can find more details on the amazing brain-dance connection in Psychology Today. Additionally, it takes discipline and focus to be able to master ballet. There is a reason we do the same steps in every class! Ballet students learn to appreciate the time it takes to master a skill. Not everything has to be instant gratification, and that is a valuable lesson in today’s world. It’s no coincidence that many dancers are straight A students that go on to Ivy League colleges and distinguished careers. The earlier a child starts ballet, the longer they have to perfect and develop this focus. Children are around other kids most of the day. But in a ballet class, the dynamic is unique. As I have told many classes in the past, we are here for a common reason: we love to dance! That in itself creates a special camaraderie between students. One of the best things I see in a class is a student helping another learn a step. The student teaching feels empowered to help, and the student learning feels acceptance from his or her peer. Listening to one another, accepting someone else’s creative ideas, and being encouraged to develop their own ideas through movement is a unique part of ballet classes. Performing on stage before an audience is no small task. Some kids live for the thrill of performance, others are incredibly nervous. The confidence to overcome those fears is built throughout the year in ballet class. It is a wonderful experience to see a child who came into the class quiet and nervous, and finished the year on stage full of excitement and energy! Even if the performance is less than perfect, students learn to appreciate their successes and learn from their mistakes. ALL kids feel great after performing – their pride in their hard work is palpable, and they will take that experience with them for years to come. We hope to see you at our Studio! Please contact us for a free trial class! 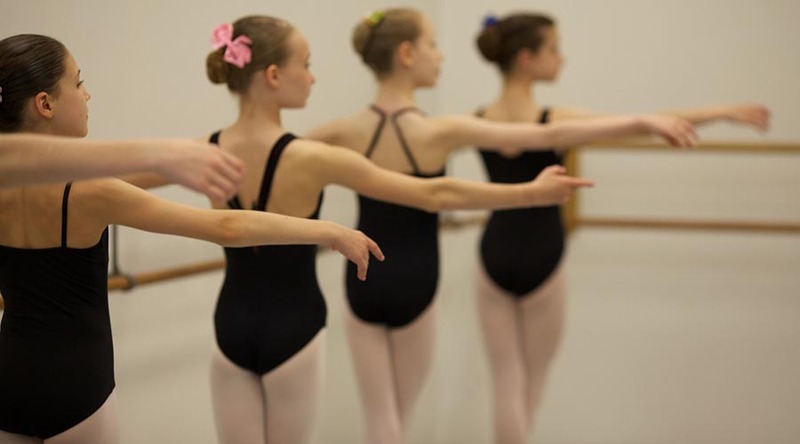 Scarsdale Ballet Studio is one of the most respected dance schools for classical ballet training for girls and boys in Westchester County and the NY Metro area. Under the direction of former New York City Ballet ballerina Diana White, we are the only studio in the area licensed to study and perform George Balanchine ballets. Our professionally accomplished faculty and choreographers nurture and inspire ballet students of all ages with a life-long love of dance, regardless of their future aspirations. Join us to see what makes Scarsdale Ballet Studio unique.